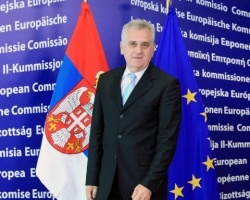 Serbian President, Tomislav Nikolic, has recalled the Serbian Ambassador to Sofia, Aleksandar Crkvenjakov. The Bulgarian National Radio, BNR, reported Monday that the decree for the recall has been signed on December 28th and published in the most recent issue of the Serbian State Gazette. Crkvenjakov has been Ambassador to Sofia since 2009 and was appointed by the previous president. The name of the new Serbian Ambassador in Bulgaria is yet unknown. Nicolic has also recalled the Serbian Ambassador to the Council of Europe in Strasbourg and about 30 other diplomats around the world.